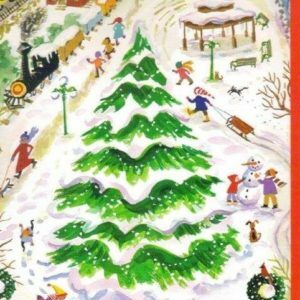 You don’t have to go to the North Pole to stroll through a forest of decorated trees or find finely crafted gifts. 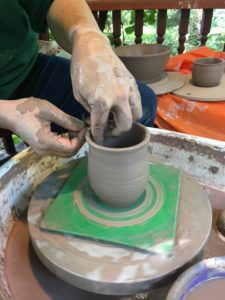 The Lewisburg area is home to several small business artists who welcome you to visit their studios and workshops. 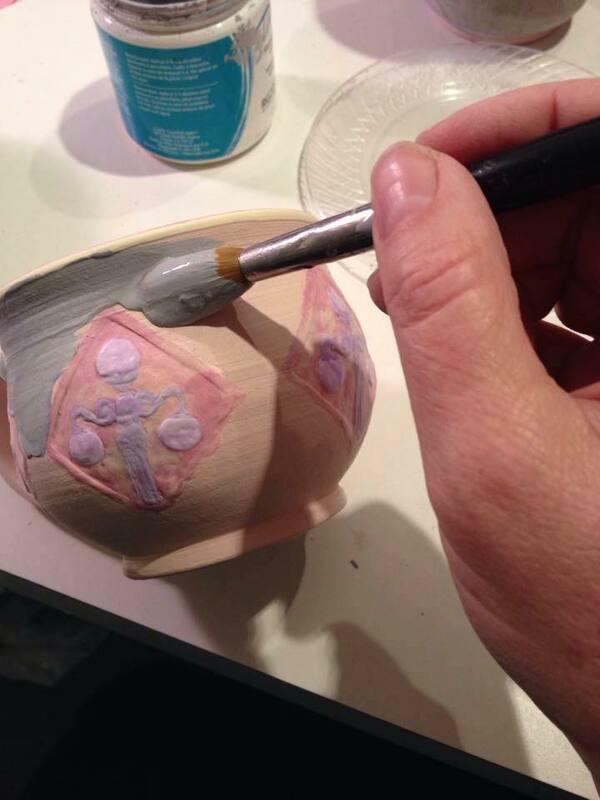 This article features seven local artists you may not find in the retail stores. Check them out as you hunt for your unique holiday gifts. Two of these artists will be at the Lewisburg Tree Festival on Market Street. Twenty-eight Christmas trees will be on display throughout December at 300 Market St. in downtown Lewisburg (former CVS building). Various non-profits will come together to decorate the trees in a celebration of community and to bring awareness to the work they do in the Lewisburg area. Admission to the exhibit is free. In lieu of an entry fee, donation boxes for the non-profit organizations will be available. The exhibit will be open the first three weekends in December starting with the Late Night Shoppers event, December 2. Exhibit hours are Fridays and Saturday evenings 6-9 pm and Saturday and Sunday afternoons, 1-4 pm. Two featured artist, Rebecca Mohr (Jewelry by Mohr Designs) and Erin Yust Brown (Potter) will have their work on display and available for purchase at the festival. 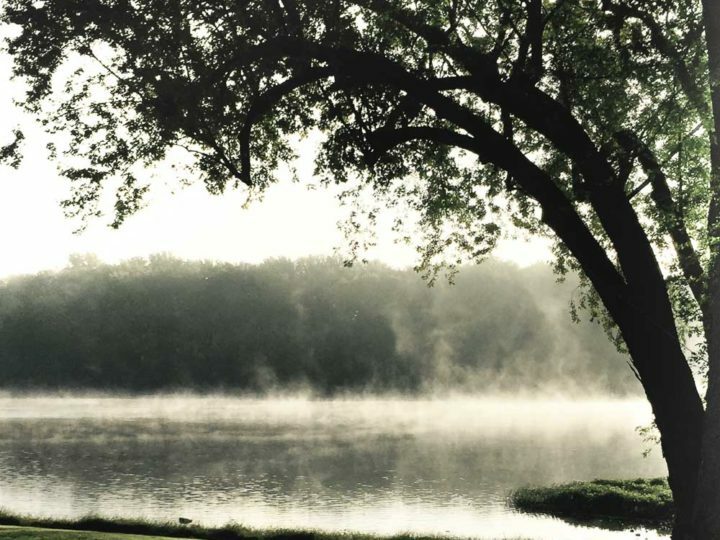 A featured artist at Lewisburg's first Tree Festival will be Rebecca Mohr of Mohr Designs. 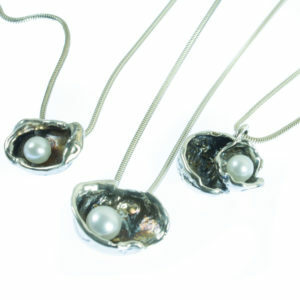 For the last decade, Rebecca has emerged as an artisan Jeweler specializing in precious metals and natural stones. 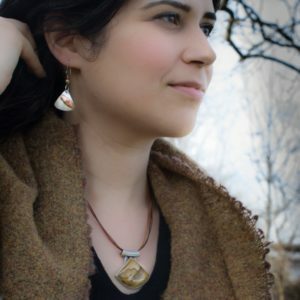 The Susquehanna River outside her studio window in Lewisburg inspires authentic, hand-crafted designs that are comfortable and kinetic. Unlike most jewelers, her path to this art was through a career in science. As a result, her ideas are influenced by the wonders of nature. 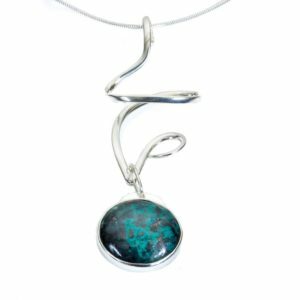 In 2008, Rebecca discovered her passion for working with metal and stone. With her background in the sciences, her workbench quickly turned into her "studio" full of torches and tools, where she learned the techniques of goldsmithing and lapidary. In 2015, she had the opportunity to pursue the jewelry business full-time and launched Mohr Designs. Rebecca launched her on-line store in 2016, introducing 5 collections. In her collections, you can touch bubbles, find deep red sunsets, hold a pearl in its shell, see fairies, and get caught up in the beauty of movement. 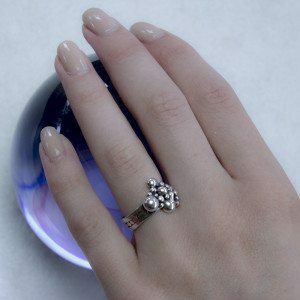 She polishes the stones she uses in her one-of-a-kind pieces. To share the natural wonders she discovers in these stones, she has started a series of blank greeting cards. Also in time for this year’s holiday season she is also offering natural stone coaster sets. 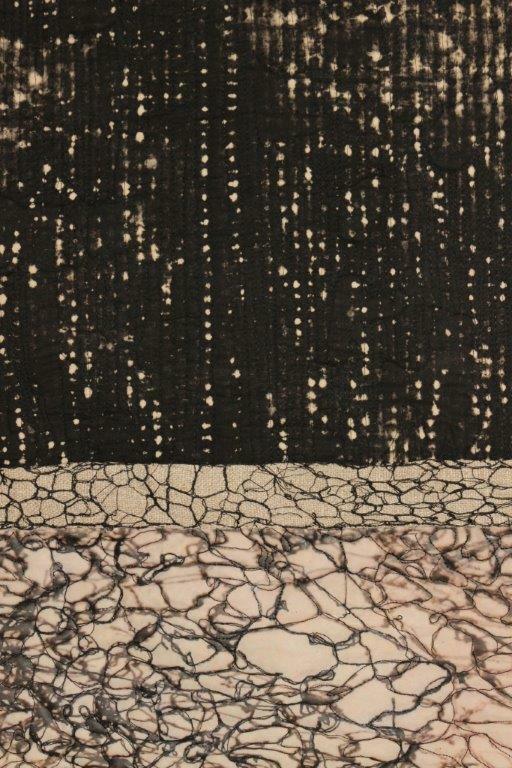 Paula Swett is a mixed media artist. 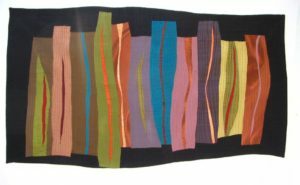 She paints surface designs with her own hand-dyed fabrics and enhances them with machine and hand stitching. 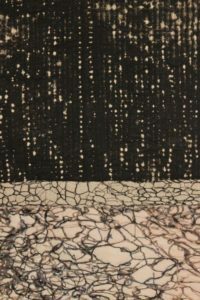 In her current work, she incorporates encaustic painting along with mixed media and fiber. 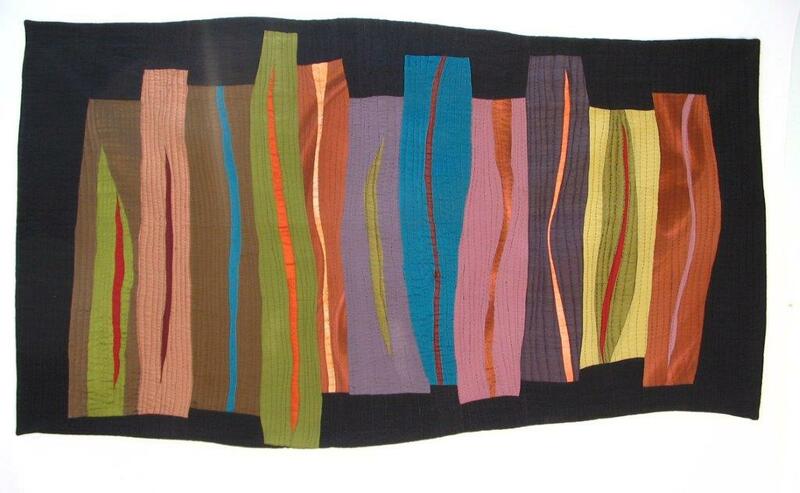 Inspired by nature as well as life’s events, her work reflects love of line, color and texture. Her work is shown nationally and internationally and is in many private and public collections. She credits her mother and two grandmothers for giving her the gift of handwork, teaching her to knit and sew, to create clothes and quilts. These women gave her the ultimate gift of passion to express herself through cloth. After many years as a social worker and Magpie gallery owner, Paula is now a full-time artist at Crowhill studio in Lewisburg. Paula offers private and business commissions. She also and offers workshops in improvisational piecing, hand dying, and stitchery techniques. For workshop gift certificates or more information about her available works, contact Paula at paulaswettartist@gmail.com or 570-713-9931. Design. Build. Restore. That is the motto of Titus Toyer of the Titus Abraham Company. He gets excited about great design. Great design has quality. If that is missing, nothing else really matters. It's practical. It’s creative. It’s honest. Great design is simple. The Titus Abraham Company is located in Mifflinburg, PA. While their core business is custom built furniture and architectural features, they will have a selection of smaller, hand crafted gifts available for purchase during the holidays. 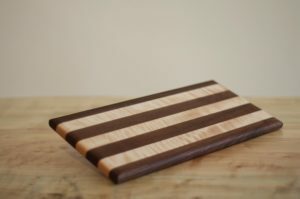 This will include cutting boards in a variety of sizes and styles, leather coasters, and several other items. They will also do their best to accommodate your custom gift ideas. If you're looking for a larger gift (perhaps for yourself) they have a selection of coffee tables that are available for immediate purchase. Follow them on Facebook and Instagram (@thetitusabrahamcompany) to stay up to date on available items, and visit their website (www.TheTitusAbrahamCompany.com) for purchasing options. They will also be posting certain hours to stop by their location to either pick up orders or purchase items. 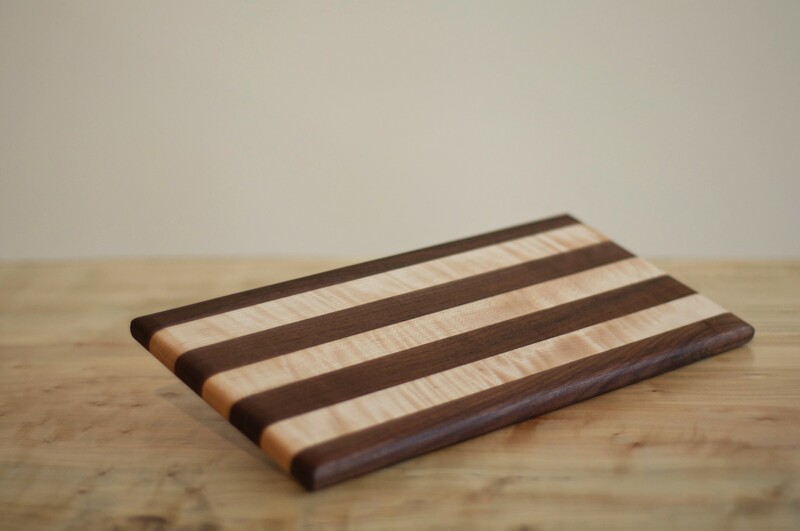 The Mercantile in downtown Lewisburg also carries a selection of their cutting boards. Have you heard of the Lewisburg mugs? You can find them at the Lewisburg Tree Festival from featured artist, Erin Yust Brown. 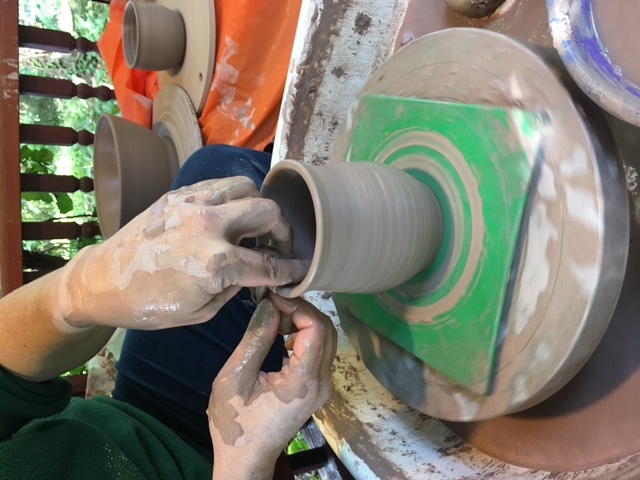 Erin is a Lewisburg potter with a focus on building connections with people & art. 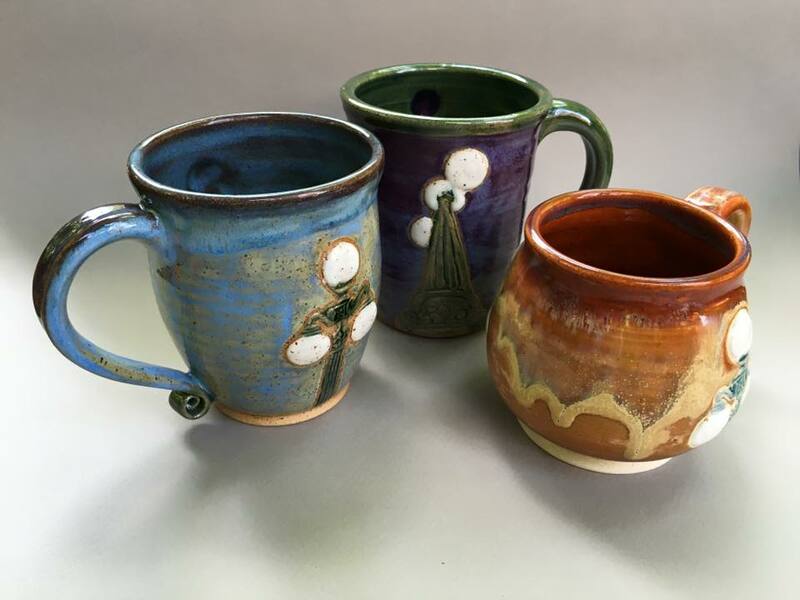 For example, her inspiration for making handmade mugs is the sense of community that it builds. People "get together for a coffee" to meet for the first time, to share ideas, hopes and dreams, share laughter and tears. Every encounter has a story. Beginning with her degree in Art and Education from Colorado State University, she first worked in the Denver Art Museum then taught high school art (painting, drawing, sculpture, and ceramics). Since moving to Lewisburg 6 years ago, she has focused on her own artwork (clay, photography, painting, and drawing) and continues to educate at the Bucknell 7th Street Studio. The "We're Home" Lewisburg Lights collection is just one of the varieties of mugs and pottery offered by the Erin Yust Brown Studio. Be sure to shop her work when you stroll through the Lewisburg Tree Festival. You can learn more about her work on Facebook. Her work is also available at the Bason Coffee Roasters in Danville, or you can contact her directly at erinyustbrown@gmail.com. Originally from Sunbury, PA, Brad Shoemaker began painting the rural areas of PA at an early age then sold his first painting in May, 1971. 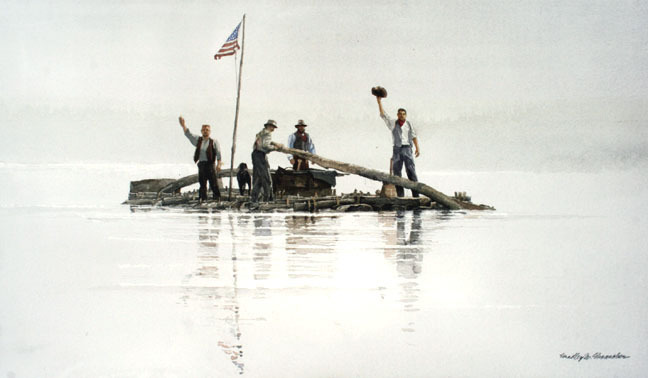 Since that time he has become highly regarded as one of Pennsylvania's foremost realist watercolor painters. 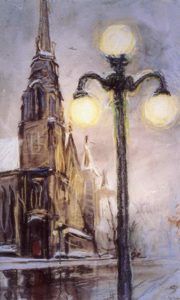 Known for his unusual technique of building layers of glazes over washes, the slow build-up of color results in extraordinary luminosity, warmth and richness. His award-winning paintings have been featured in numerous juried, group and solo exhibitions, including Mickelson Gallery (Washington, D.C.), William Penn Museum (Harrisburg, PA), Southern Alleghenies Museums of Art (Pennsylvania), and the Wally Findlay Galleries (New York City). Today, Brad still produces limited edition prints of watercolor landscapes and city scenes and also offers original paintings of still life, portraits, and commission work. Beginning just this summer, Brad now offers monthly painting workshops in downtown Lewisburg—at $60, the perfect gift for any aspiring artist. Contact Brad to select the perfect painting or gift certificate at 570-768-4262, bradshoe@dejazzed.com or visit his website at www.bradleyshoemaker.com. RC Creative is a labor of love (and a love of labor) for owner Brian Reich of Mifflinburg. Finding himself unfulfilled by life behind the keyboard, Brian set up shop in his shed and started woodworking. 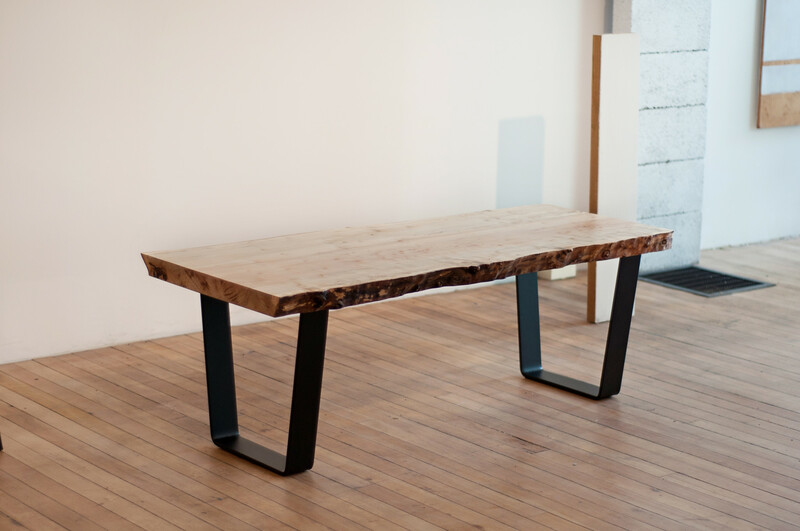 He soon found himself enamored with the idea of breathing new life into old materials. The current fixation at RC Creatives is with wine bottles. 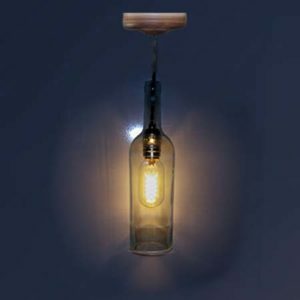 He is taking the art of wine bottle crafts to a new level by pairing the wine bottle pendant lights with custom wooden canopies, available in pine, oak, cherry, and sustainably-sourced African hardwoods like bubinga! Pendant lights start at $30.00. 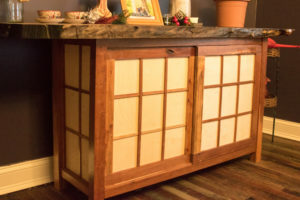 You can buy any of his hand-made products or request a quote for a custom commission at his website, rccreativellc.com. These are Kristin's words that explain why she does what she does. And she does it very well. 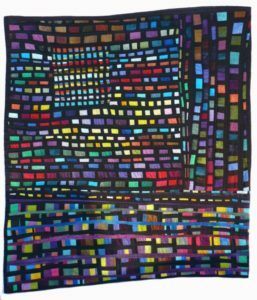 Kristin Morrow began making quilts right after graduating college in 1983, learning from a Mennonite college friend. She believes in the traditional principles of quilt making and is drawn to the creative venture as well as the detail oriented work involved. 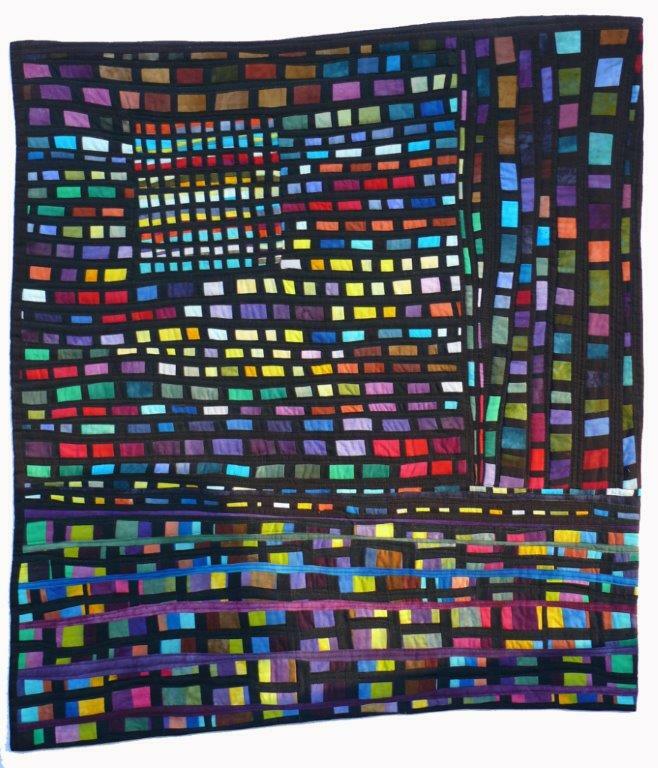 Kristin was trained by experts linked with the International Quilt Museum at the University of Nebraska. She is one of the top hand quilters in the country, has won multiple blue ribbons for her work, and receives orders from around the world. 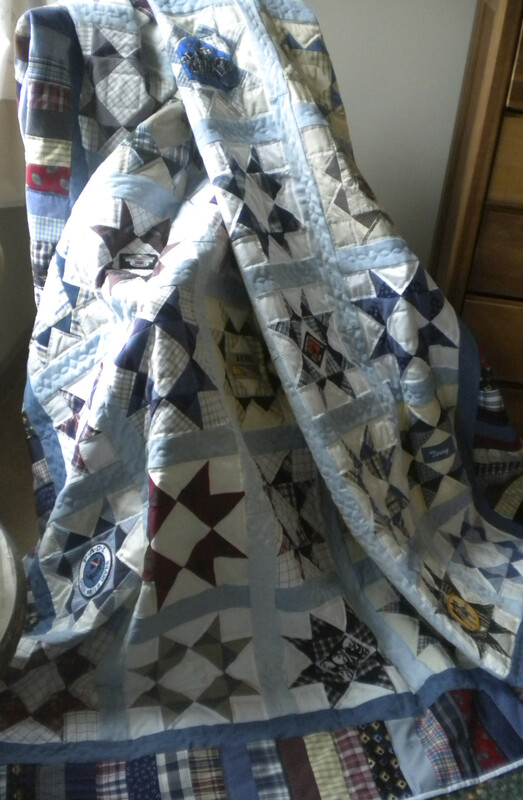 Her primary emphasis is in quilt restoration, hand quilting and commemorative quilts – quilts made from a loved ones clothing, wedding dresses, baby clothes, and other meaningful items. 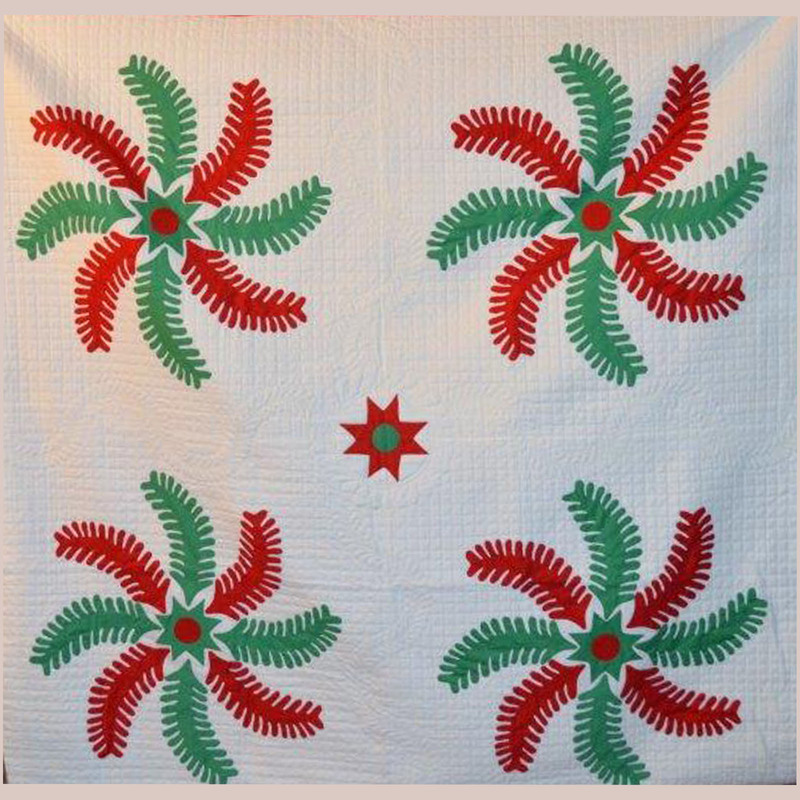 The pictured red and green Princess Feather quilt was commissioned by the Slifer House museum in Lewisburg and is permanently on display in the museum. This quilt is typical of the era in which the house was built. 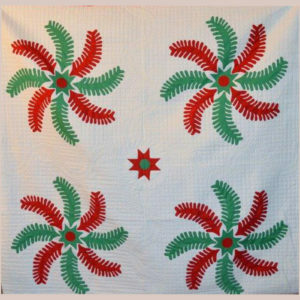 You can contact Kristin to learn about quilts available for sale and commission work at www.quilttraditions.com.